Small to medium size Manufacturing, Job Shops, Precision Machining/Screw Shops, Tool & Die Shops, Fabrication Shops, Prototype Shops, Assembly Shops, High Production Machine Shops, and Assembly Shops. 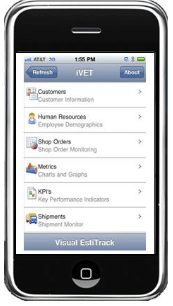 Visual EstiTrack ERP is an on-premise platform for managing your shop. Create and send job estimates in as little as 5-minutes. 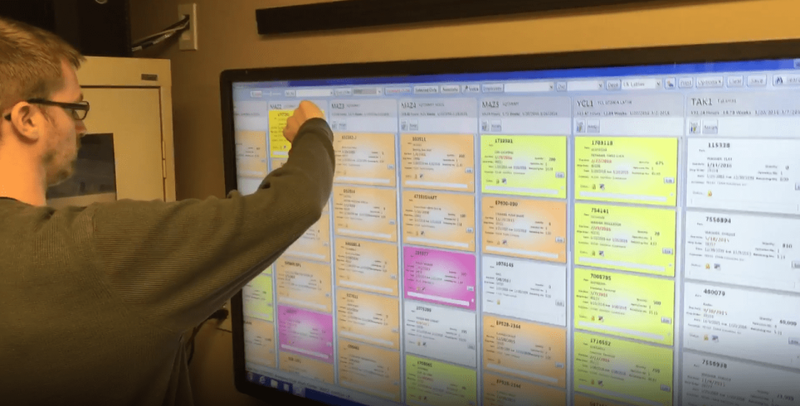 Completed estimates are converted automatically into sales orders, shop orders, and immediately displayed throughout your shop on interactive touch scheduling boards. 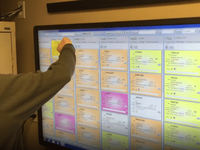 Touch scheduling boards allow shop personnel to see important job-related information without relying on paper while tracking job costing and progress in real-time. Comments: HenningSoftware Inc. has been a great business partner. They have been amazingly supportive and committed, starting with pre-sale demos and conversations. Their investment in our pre-sale due-diligence paid off for both of us. It's truly a win-win. We have a valuable tool for a within-reach price that will bring our manufacturing floor into real-time processing and lot control and create efficiencies that we were not able to do with Vista/Epicor because it was too clunky and too constraining. Pros: I am still in the implementation phase and working with them on some upgrades, but the transparency of the reporting and the logic of the system seem to really stand out. It is easy to trace not only your processes but the calculations behind them. Nothing is so hidden that you can't find it, and if you have problems, they will find it readily. 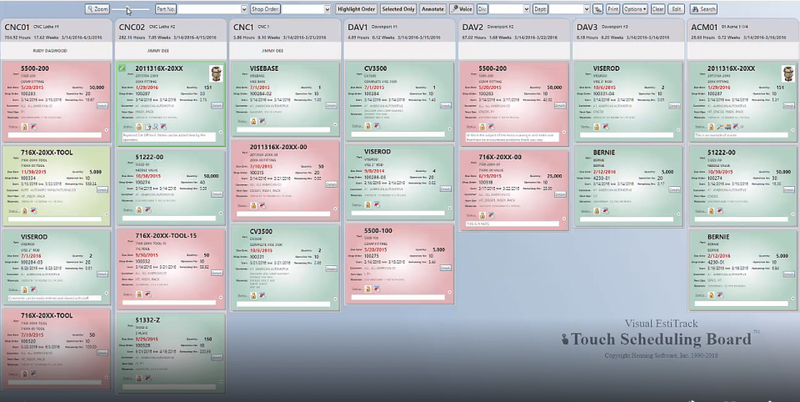 EstiTrack also offers lot control and item sequencing within manufacturing, which was hard to find in a less expensive system. Also, it allows for more than one way of doing things..and yes, that is a great feature for our manufacturing business. It allows us to tailor how we come to an endpoint. This has already been proven to be very useful, in quoting and pricing. We chose EstiTrack because it offered the most of what we could use immediately, and some of what we could use later. The systems that were so complex meant that we would get a 40% value right away and hope to "use" the great features eventually. With EstiTrack, we knew we could take advantage of 70% immediately, it would streamline our current processes, it would get us to where we needed to be, and it would allow us room to grow. Cons: As with any system, and we reviewed a handful before choosing EstiTrack (and have been with Vista/Epicor for 20 yrs), it doesn't do everything for everyone, but they do a great job with most areas. We opted for EstiTrack with the idea that we would ask for some upgrades specific to our needs, and they are working diligently with us to develop those upgrades and to make sure that they are useful, well thought out, and worthy of the investment. Because we have not fully implemented the system, there are not so many cons that have stumped us. Comments: Martec Precision is a small jobbing shop in Brampton, Ontario run by a husband and wife team. We have doubled our size in the last 6 years and now employ 12 people. At Martec Precision we manufacture metal and plastic parts for the aerospace, mining, mold and commercial industries. Currently we are working our way towards becoming ISO. Our motto at Martec is "Where principles count", and our work ethic is founded on our strong values. Three years ago we spent about 6 months looking at many popular shop management software packages before making a decision. Before purchasing Henning's Visual EstiTrack ERP we had been using software that had been developed by an independent writer. Our first software package worked well during our initial start up period but as our business grew, we wanted to find a more comprehensive software that provided us with all the documentation required to reach our goal to obtain an ISO certification. Another important area of concern for us was the current software did not offer reliable support leaving us feeling frustrated and powerless at times. Finally, in order to be competitive we needed to be as lean as possible in today's marketplace and we hoped purchasing ERP software would do that for us. 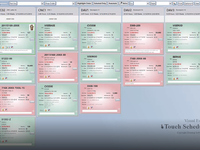 Certainly the software research stage took longer than the implementation once we purchased Henning's Visual EstiTrack software. The Henning's support team installed it from their office in the USA and was there every step of the way until we were completely satisfied. The software manual was easy to follow and after a couple of months we were comfortable using it. In addition, hands on training online or on site can be purchased. We now run more efficiently, in a systematic fashion and have all the documents required for us to be accountable to our customers. We also purchased the "Editor's Privileges" allowing us to tailor the software documents uniquely to our businesses preferences and requirements. Lastly, we want to comment on the customer support we receive through the "Henning's Support Team". Their support staff is friendly and very knowledgeable. Their response time for support is immediate and all matters are resolved in a timely fashion. For example: I had a recent situation where my computer antivirus software was interfering with the software and with my permission the technician went in and made the adjustments needed to resolve the problem. Now that's what I call service! Pros: What I like best about this product is its ease of use. When first starting I was overwhelmed, but after a couple short hours of training and playing around in a test data base the people at Henning set up for me I was using the system like a pro. It helps me with the everyday workload and compiles all of the necessary machine shop operations into a simple software solution. Cons: I haven't found anything to date, but I would like to see some type of backup solution for my files, so I can wipe the saved info off VET and save it to a hard drive to make my orders and quotes a little less crowded. Recommendations to other buyers: If anyone is in the midst of filing paperwork and quoting or writing purchase orders and overwhelmed by all the different templates or papers needed to accomplish the daily tasks managing a machine shop, this product is for you. It will compile everything needed to successfully run your machine shop. Pros: This product is easier to use than it initially looked to me. 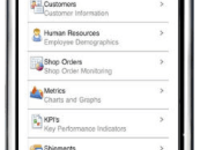 I also like the fact that this vendor and software product have been around for years, which is needed to keep updated with the times and changing business practices. Cons: Initially, this product looked intimidating, as it has so many functions. I am currently using quoting, sales orders, and shipping functions, along with fine-tuning these functions to my business needs. Recommendations to other buyers: At the start of this product use, I needed a lot of assistance. The help was there when needed, and the use of the videos built into the software product were valuable. There is still more to learn, and there is training available. Pros: The software has a lot of flexibility; it can do it all. Everyone at Hennings is there to answer questions; responsiveness is great! Cons: The software is a little on the slower side. I wish it was quicker. Recommendations to other buyers: This is a great value. The software and service are spectacular for the price.